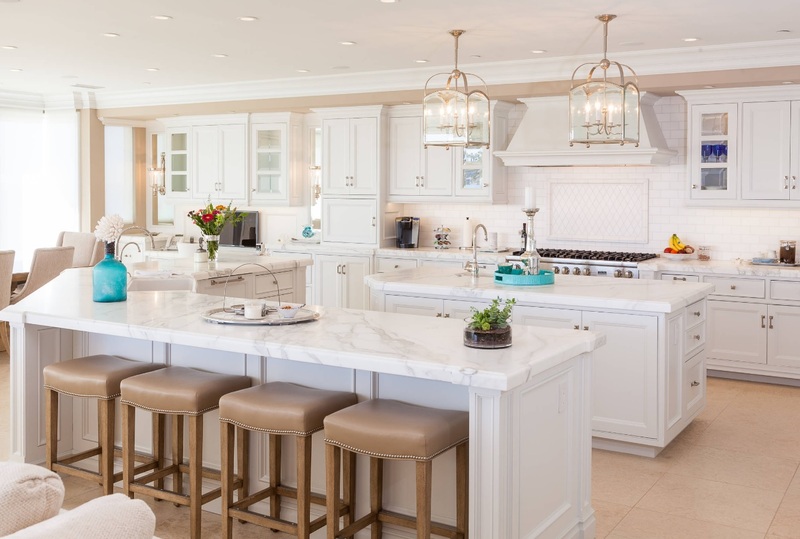 The kitchen is no longer just used for cooking, but for connecting, socializing, entertaining and more. We now spend more time in our kitchen than we do in any other room of the house; and the average kitchen has doubled in size since the 1920s. The island table has been developed greatly by this concept and is used as the main area for socialization within the kitchen space. Therefore, it is often a large focal point of the room. A new movement we are seeing is the double island. Since our kitchens are so much bigger, they lend more space for a second island. Most remodels consist of opening up the kitchen to its adjacent rooms (like the living room), eliminating walls for cabinets. This is where the second island can play an important role. Your main island becomes a space for prep and cooking and your secondary island becomes the the space for socializing and entertaining. Many times the second island can act as your bar area; and include such things as bar sinks, ice makers, under-counter refrigerators, etc. Sometimes the island is so big there is a break in it to create another path of egress, resulting in two islands. 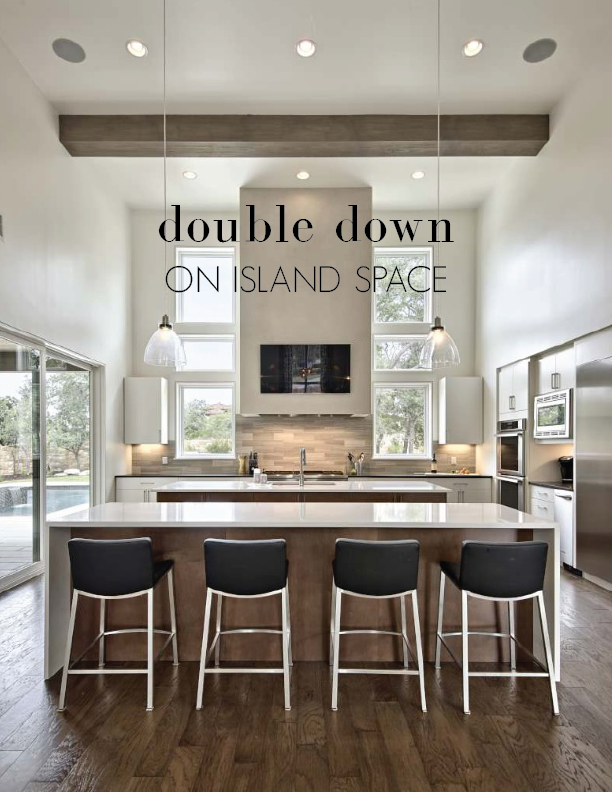 In other cases, the floor plan may be so open that there are no walls and you are dependent on 2 islands to provide a footprint for the kitchen. Previous Post Which Pattern is for you?_ A guide to tile layouts.